Singaporeans, Singapore PRs and Foreigners age 16 and above. Take your fortune to greater heights with OCBC Passbook and Statement Savings Account. 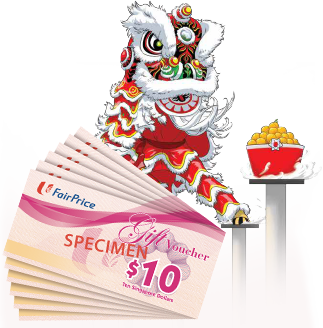 Get S$110 worth of NTUC Fairprice gift vouchers for every S$10,000 deposited in fresh funds to an OCBC Passbook or Statement Savings Account. Funds deposited must be maintained for 6 months. T&Cs apply. Due to overwhelming response, this promotion will end on 31 January 2019, or while stocks last.